This past week has seen some work traveling around… from Seattle back to me, with the severing of my ties with Francine Seders Gallery – from the Denver Airport to the Lt. Gov’s office at the Capital Building in Denver, where my painting “Departure” is now displayed – and from the studio to my house, where I have two new paintings about to hit the racks. a decidedly verdant quality . 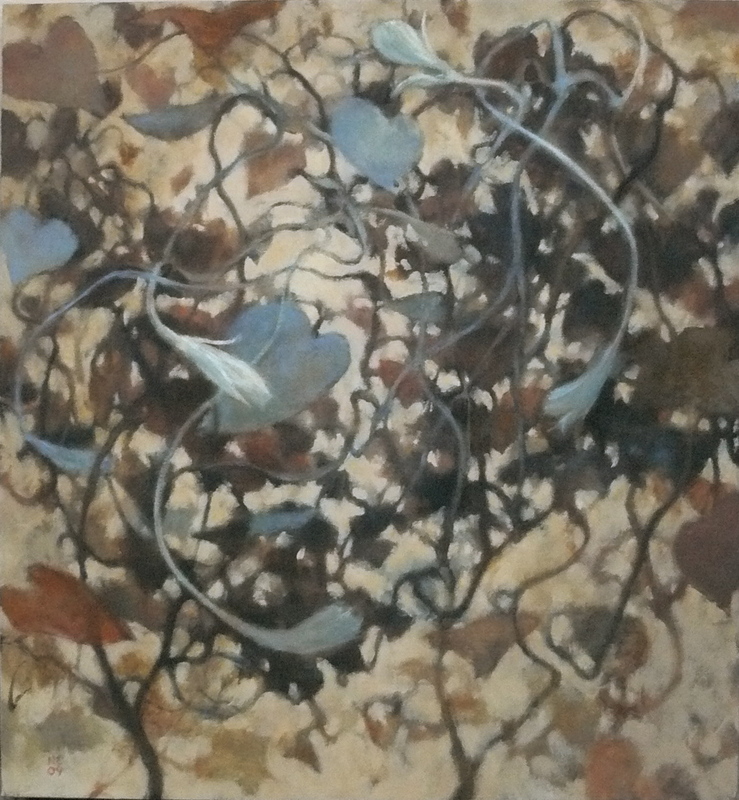 . .
and this, the final version of the brown vine painting that I have talked about earlier. Working on the larger (for me) format is much more compatible with having so much complexity, and layers. When I get a chance, I am going to sit in front of my husband’s desktop with the photoshop loaded on it, and get going on some packets with CD’s to send out to designers / decorators / consultants…. the next big project. No immediate gratification involved, but I keep reminding myself that it’s a lot like writing a novel, and hoping it eventually sees the light of day on someone’s bedside table. 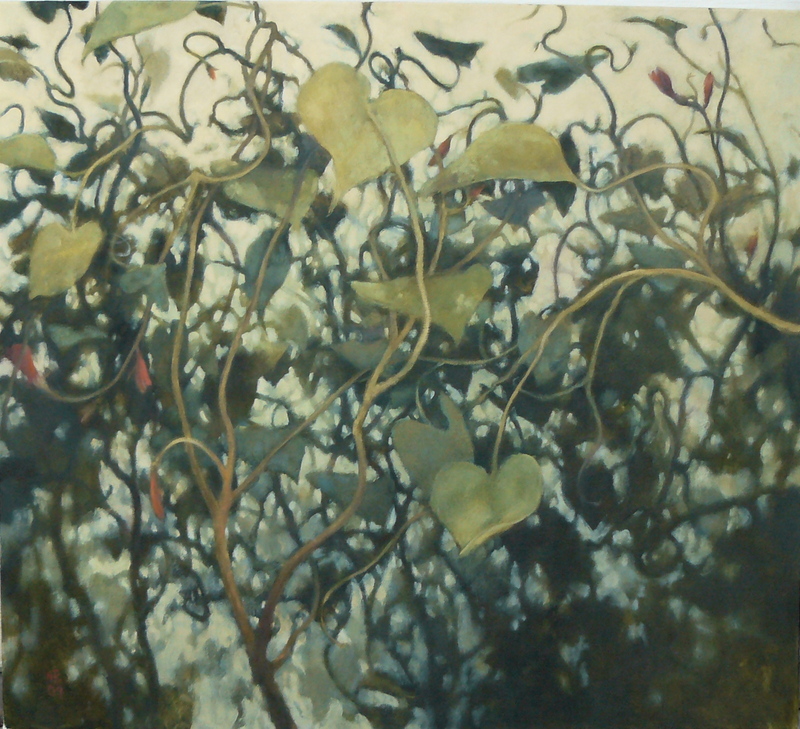 This entry was posted in Studio Blog and tagged new paintings. Bookmark the permalink.